Are you excited? Yes, we are! We are excited whenever there is big crab right in front of us. 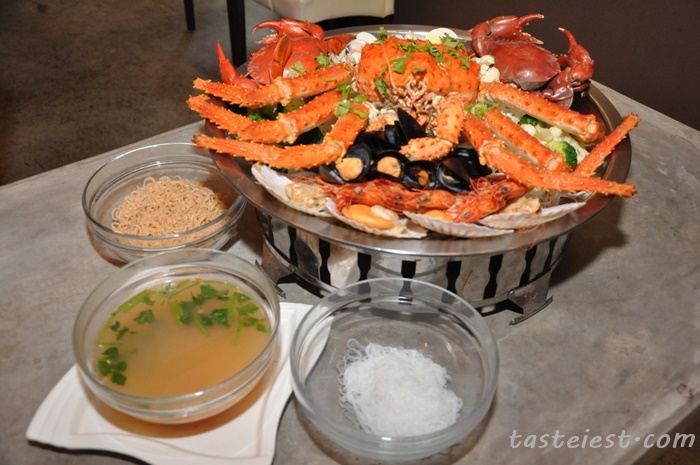 Especially Big, i mean really BIG crab such as Alaska King Crab! Super big right? 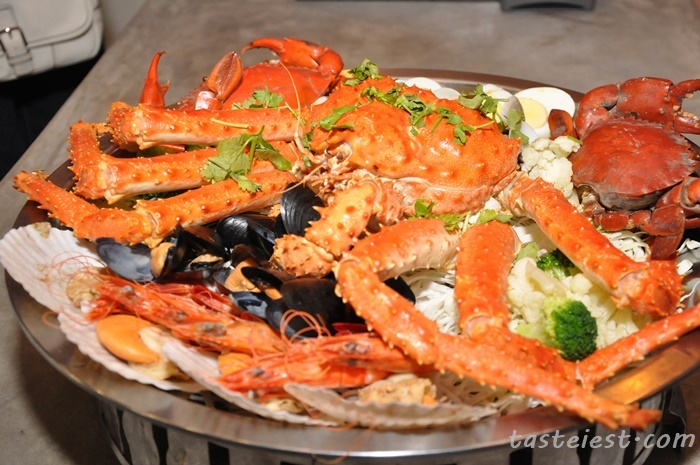 King of crab that people enjoy it taste and sweet flesh. 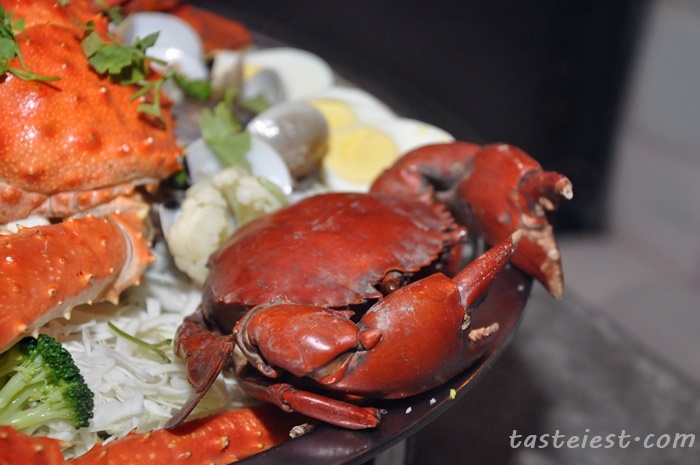 Now you can get this big crab at Thonglor Thai Restaurant for just RM399, not only Alaska King Crab but it came with 2 big mud crab, egg, clam, muscle, scallop and assorted vegetable. 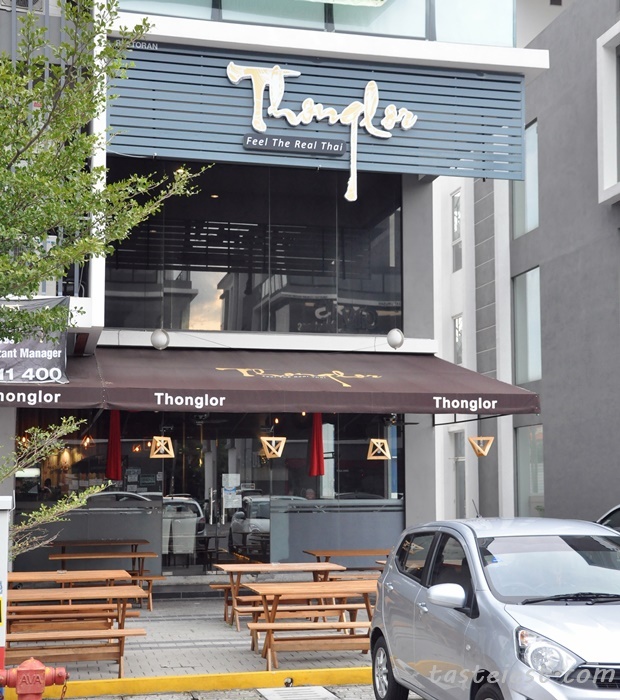 Thonglor Thai Restaurant is very spaces with great table arrangement, i like the big table that allow many dishes to be place on table without problem. 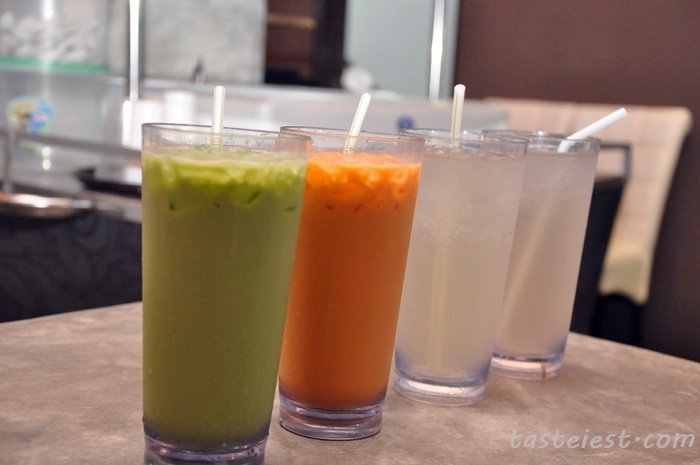 Thai influence drink such as Thai Milk Tea, Thai Green Tea, Lemongrass and Pandan drinks. I love lemongrass drink which has strong lemongrass aroma and not too sweet. Teng! Teng! 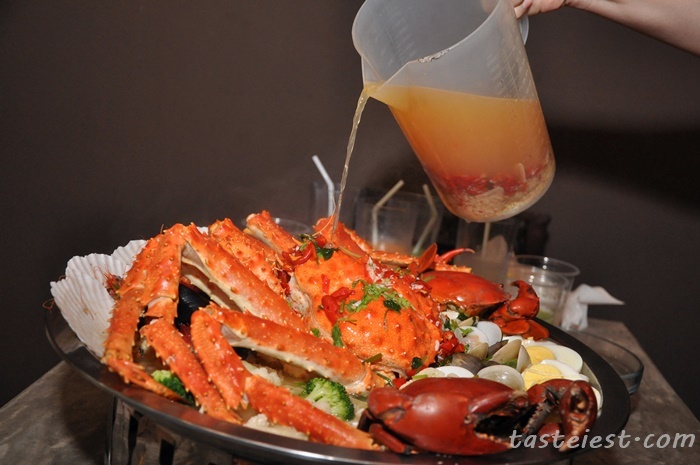 Alaska King Crab Platter RM399 suitable for 4 person, three different type of soup based available such as Tomyam, Lime & Chilli and Kengsom, it also come with 4 plate of either BeeHun, Glassnoodle, Instant Noodle or Rice. Two big mud crab are included, we have 1 male and 1 female mud crab. 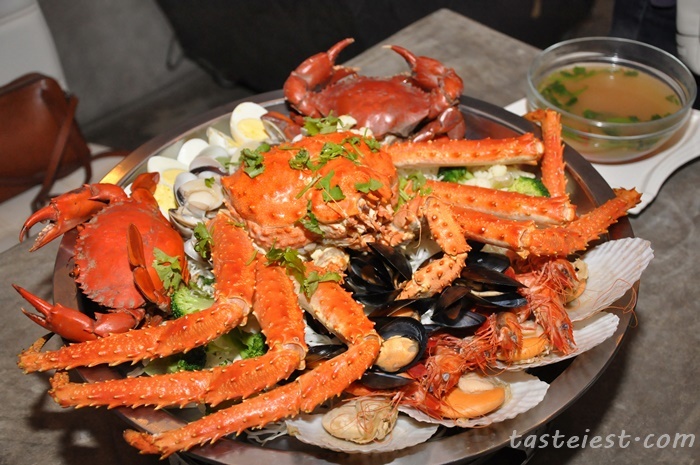 Female mud crab are extremely delicious with whole lot of crab roe in it, it meat taste extremely fresh and sweet. 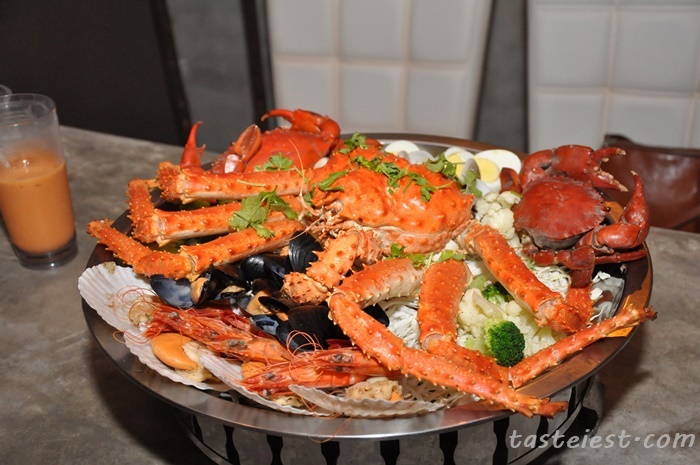 There is muscle that included as well, we rare eat muscle as it has chewy texture and not much taste but in this platter muscle are extreme fresh and perfectly cook to texture, it is delicious and tasty. Same goes for the clam, generous amount of clam found inside platter and it is so delicious especially dipping with the lime & chili sauce. We had 3 glass noodle and 1 instant noodle, trust me glass noodle is the best combination with lime & chili soup. It mix together extremely well, the only feedback we have is the small portion of glass noodle, we wish to have few more plate if allowed because the soup is too delicious. Let talk about the scallop, big size scallop and 4 are included! 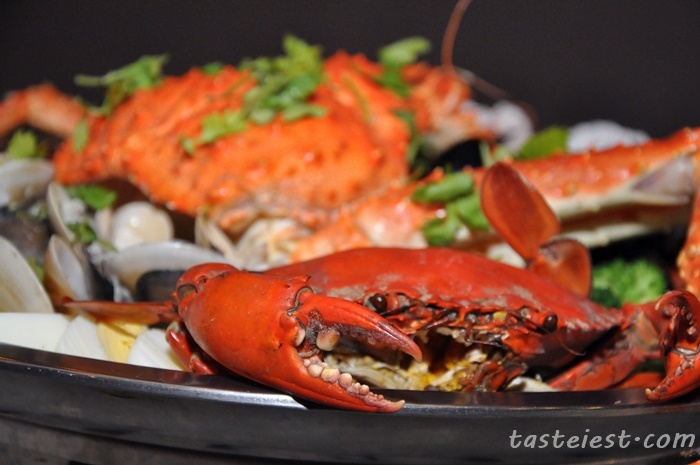 It is very fresh and delicious as well, due to the delicious soup provide it goes well with every seafood including scallop as well. 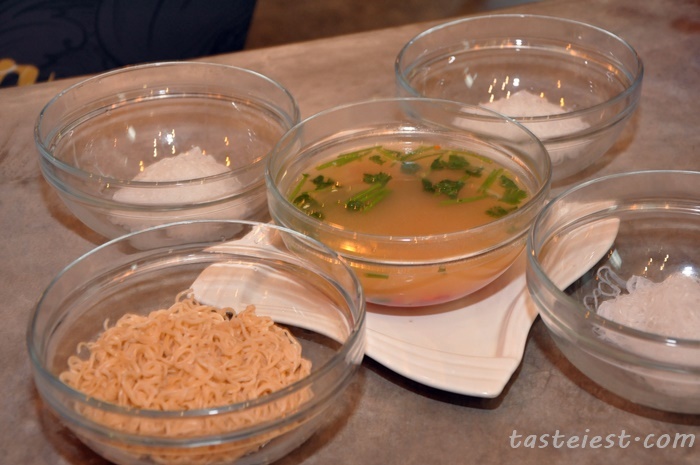 Pouring in our lime & chili soup, the soup itself taste extremely refreshing and appetizing. It has whole lot of garlic and fresh chili in it, lime was added to enhance it flavor, it create spicy yet sour taste with strong garlic aroma. 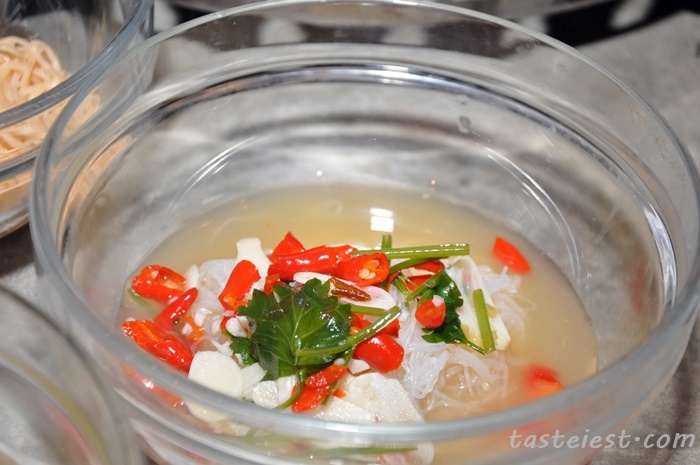 Best combination, glass noodle with lime & chili soup. 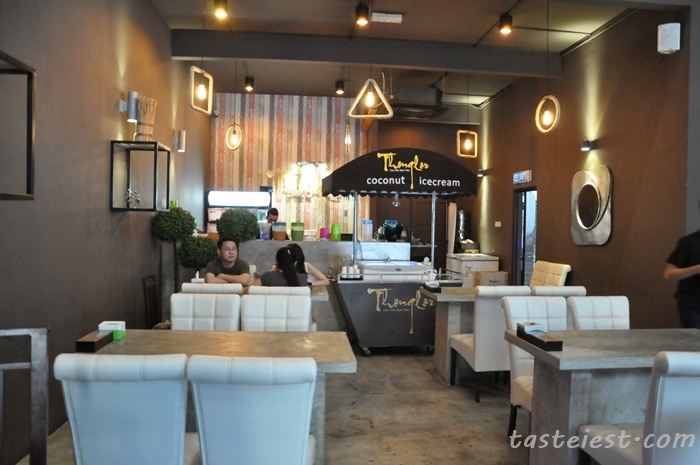 10, Jalan Icon City, 14000 Bukit Mertajam, Penang.